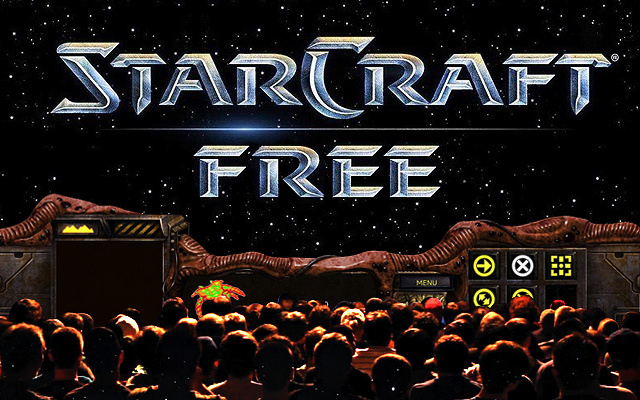 (SPOT.ph) Did you hear that the original StarCraft is legally free to download now? But there is more to this story than you may think. First things first, yes, it is no joke or hoax. Blizzard has released the original StarCraft, complete with the Brood War expansion, for free. Not only that, but it comes updated with patch 1.18, which updates the game for Windows 7 to 10, with new features like UTF-1 support. You can download the game for Windows or Mac and read the patch notes here. So what’s the deal? Is Blizzard just being overly generous? In fact, they have huge plans for the franchise, with this free release merely being the first step. Blizzard is remaking the game completely for modern systems, with StarCraft Remastered coming the second quarter of 2017 for Windows and Mac. This version of the game will go further than the patch 1.18 version you can get today, with 4K graphics, rerecorded audio, and completely revamped online play features. This includes cloud-saving, friends lists, and streaming support. You will even be able to zoom in further than in the original game, so you can fully appreciate the more detailed graphics. The free StarCraft you can get now, however, also features online multiplayer, and this is also free, as soon as you connect or register a Battle.net account. And here’s the kicker; people who download the original StarCraft now will be able to play online with gamers who buy StarCraft Remastered and vice versa. If you have an old Battle.net account, you can even update that account to use StarCraft Remastered’s old system. These grand plans are really meant to cater to StarCraft’s most loyal and persistent fans; the competitive StarCraft community. StarCraft Remastered, in development for a full year, received feedback from many of the game’s top competitive players in Korea, and this focus on online multiplayer is transparently intended to drive interest to play the game. But why would Blizzard care to cater to specifically the StarCraft competitive scene? To put it succinctly, StarCraft II. While StarCraft II and its expansions were critically well received, the competitive community was unhappy with how it changed gameplay mechanics. Fans independently confirmed that it was a conspicuously slower game than the original upon launch, and subsequent releases and patches have failed to mollify these players. Things came to such a head that many top players have left the StarCraft competitive scene en masse to play an entirely different game instead—team shooter Overwatch, also developed by Blizzard. With StarCraft Remastered, Blizzard intends to keep things simple and direct to the point. There will be no "improvements" to gameplay for the community to debate about, and no changes to the base game itself. Competitive gamers will be playing the same StarCraft they have been playing for almost 20 years, with the only updates made to bring the game up to date with modern systems and modern game expectations. But beyond that, Blizzard wants as many people playing StarCraft so there’s a big community playing and competing in the game, too. Even if some gamers will opt for the free version of StarCraft over the new one, they hope an active, even rabid, community, will make more gamers want to buy the new version in hopes of becoming professional players. StarCraft, originally released on March 31, 1998, actually precedes the release of Windows 98 by a few months, so it was playable even on Windows 95. This means it is playable on nine versions of Windows, essentially all the versions that features the modern desktop metaphor interface. Some gamers even have older discs that they use to run the game, but of course, they won’t be needing them now. 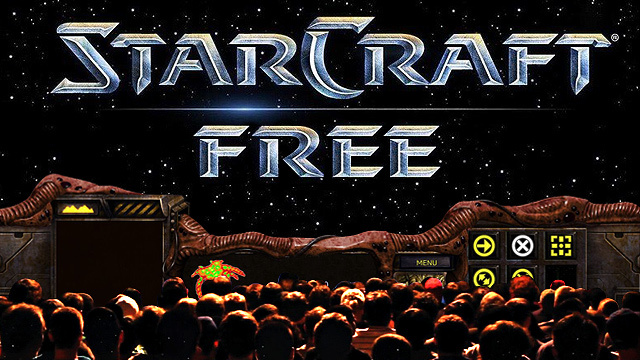 Are you downloading StarCraft for free now? Will you be buying StarCraft Remastered? Do you hope to see StarCraft on consoles like the PlayStation 4 and the Nintendo Switch? All we can say is: what a time to be alive!